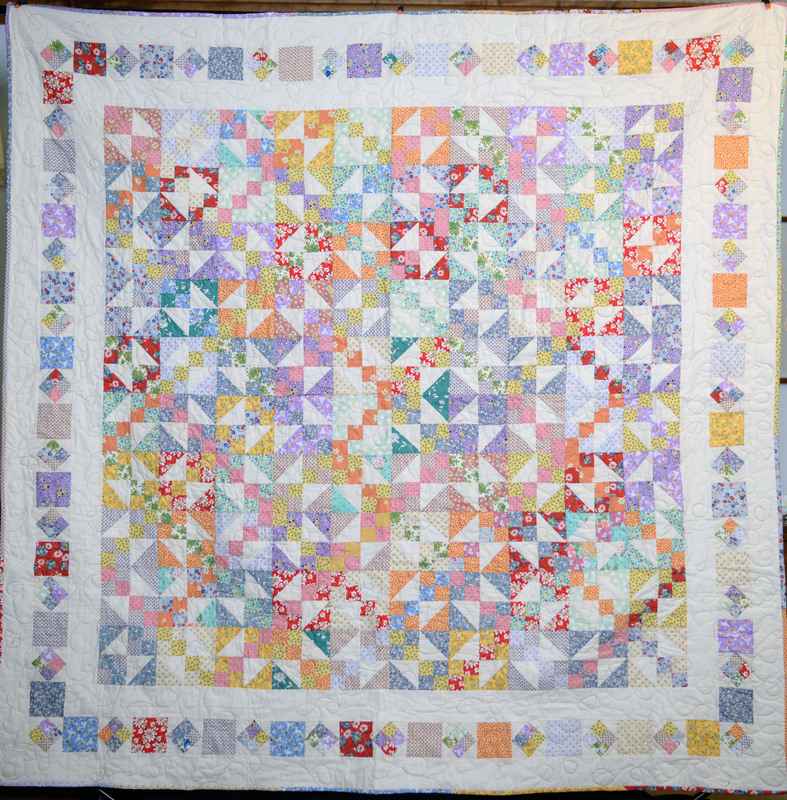 This quilt is made using 1930’s reproduction fabrics. 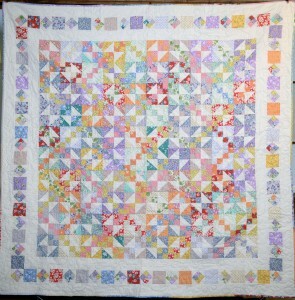 It is a Twin size quilt. It has a very scrappy look to it. 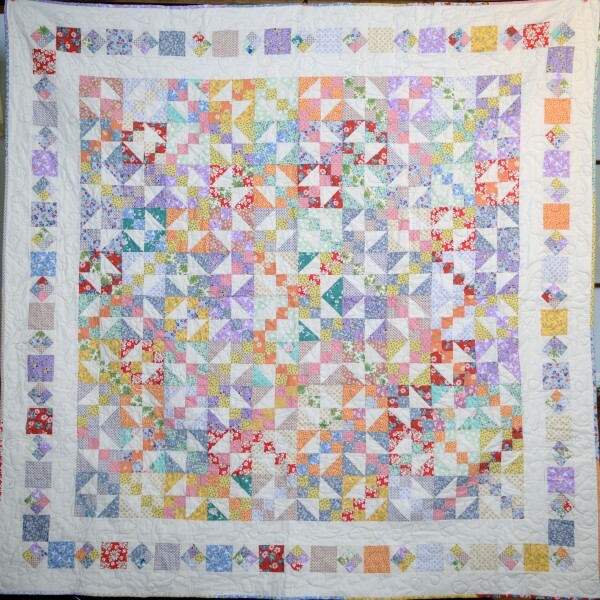 I enjoy making the scrappy quilts. It is 77″ X 78″.